This is my first ever Bookish Resolutions post! It will be amazing to see if I achieve these this time next year! I’ve quite a few books sitting around that I picked up before blogging, which I’ll likely not read now since discovering so many highly recommended books. Also, I used to just keep my favourite books, ones that meant something to me, or ones I’d want to reread, but since blogging I’m hoarding more than I used to, so the shelves need a gut-out! 2. Actually get some Bookshelves! 3. Write More Discussion Posts! I love discussion posts, but they take longer to put together and I often do memes and reviews, but rarely write my own discussions. So for 2015 I’d like to write more discussions, maybe one per month?? 4. Try to buy less books. I’m kidding myself with this one. I know I am. I once wrote a discussion on how I justify my book-buying, and while I still agree with that post, I’m also still buying quicker than I can read… I’m going to try and cut back a little in 2015 to reduce my TBR pile – auto-buy authors are allowed (like Maas and Hoover), and I can only buy books that are on my wishlist if they’re on a great offer – no random snap-purchases! 5. Clear My NetGalley Backlog! I’ve already failed this miserably because my goal was to clear my backlog by New Year… oopsies? I have around 17 books to read and will not be requesting any more until I’ve read at least 10 of them. I already started this a couple of weeks ago, but I want to have gone through my entire blog before I reach one year of blogging, to tidy things up a little, make sure things are named correctly and that links work etc. Yes. I have OCD and I’m slightly crazy. I’m OK with that. I used to be awful at this, and I feel like I have gotten better, but (luckily) I haven’t felt the need to DNF for a while. I want to be strong in 2015 though, and when I do feel the need to DNF, I want to be able to do it without guilt and without the dreaded,”But what if it gets really good a couple of pages from now?” fear. No. Just, no. 8. Make a Dent in My Classics Challenge. I’ve a terrible record for reading classics. I’m not saying I have to like them all, but I want to at least have made a decent stab at trying them. I even signed up to the Classics Club in 2014, but I still didn’t attack them with enthusiasm and wild abandon… Maybe in 2015? As well as tidying up my blog, I really need to get better at organising my shelves on Goodreads and actually cross-posting more reviews. I don’t really cross-post on Amazon or anywhere else, and I’m wondering if I should? Do any of you do this? Is it worthwhile? Let me know! I really admire blogs that make use of amazing photography, I even admire blogs that manage to use any form of photography because I am so, so bad at including real-life images on my blog. Maybe it just isn’t for me, each blog has it’s own style and maybe mine isn’t about using great photography… but it would be nice to try. What are your bookish and blogging resolutions for 2015?? Let me know in the comments! Sounds good my dear, I’ve one book to get out of the way then I’ll be reading it. I’ll keep in touch so we can publish reviews together. You make me feel better that I am not the only one that makes requests on Netgalley and then has got too many to read, but still….. just one more that looks fantastic! I haven’t made any new year bookish resolutions this year, but I think I just might write one. I need bookshelves too! I’ve been using the top shelves in the closets around my house. Haha. Good luck with your goals!! I need to sort out my NetGalley rating too. Mine is pretty terrible at the moment so I will not ask for any more until I clear the backlog. I found a couple of my own goals on your list. 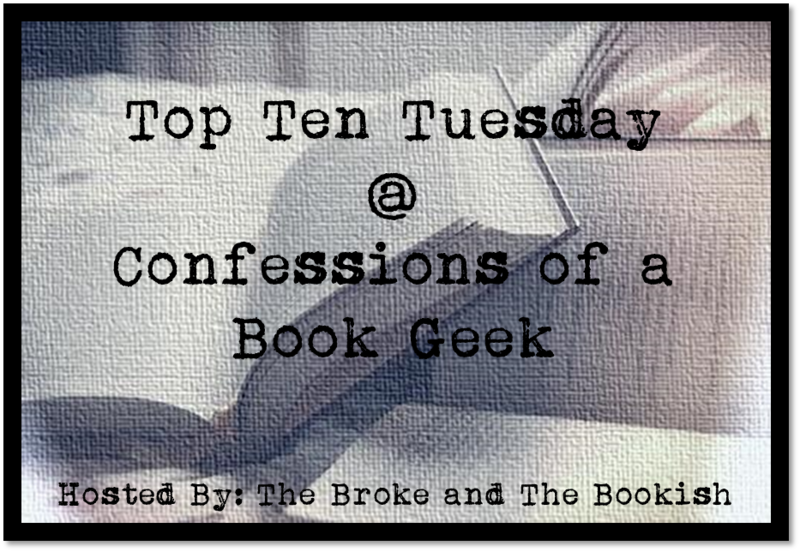 I also want to try to write more discussion posts, so I joined the 2015 Book Blog Discussion Post challenge hosted by Feed Your Fiction Addiction and It Starts at Midnight. Honestly, I need motivation in order to get anything done, so the challenge is the perfect thing for me. Good luck with your goals in the new year! I just spent over an hour cross-posting my reviews to Amazon and Goodreads…all the way back into the beginning of October! Yikes! I WISH I only had 17 NetGalley books. That’s my big focus for 2015. Love your goals, these are all things I actually want to do myself! 🙂 I need to purge my shelves so bad, especially since receiving far too many books for Christmas. I have the space for the books, but I know that some of the books on shelves are things I am NEVER going to read now. So I should get rid of them to make space for new ones. Also want more discussion posts, because they are my favourite to do. But they take more time, effort and I sometimes don’t have the time to do them. I joined Instagram and have now been doing more photography, but nothing amazing. It’s just taking pictures of books and they aren’t as beautiful as I wish they could be, but I am trying. I have so many NetGalley books to catch up on too! I managed to get rid of a lot of books at the beginning of the year, but somehow my bookshelves have managed to fill up again so it looks like I’ll need to do another purge. 🙂 I hate getting rid of books though… Good luck with your resolutions! I will try to buy less books as well but I found that not requesting ARCs is much easier so I’ll focus on that. I have a bad rep on NetGalley and I must fix that ratio stat! Happy reading and all the best in 2015! These are great goals! I might try a few of them myself — especially the bookish photography one. I feel like that would add some personality to my blog and show my unique way of experiencing books. Plus my boyfriend loves internet addiction and has already agreed to be my nerdy photographer! I’m also totally down for trying to cross post more reviews. I need to be more systematic about posting on Goodreads at the very least! You should try the ‘Back to the Classics 2015’ Challenge! I’ve entered for the first time this year and I’m really excited to dive into that genre :3 Absolutely love your minion gifs! I think we’re all going to try clear out TBR piles, Netgalley, classics or general TBR shelf :3 I wish you best of luck darling! It seems the Great Book Purge of 2015 shall reverberate around the world! These are some great resolutions! I hadn’t thought about some of them and will try to do some of them as well during the year! Best of luck in 2015! Embrace the DNF! This is a great one. Too many good books to keep reading one that stinks. I used to feel guilty about this but I eventually got better about it. Great goals!! I’m going to clean off my Goodreads list of old stuff I’ll never get to. Haha! I might have to do a feature with that title – “Embrace the DNF!” Love it. I had a problem with DNFing last year, but really, there’s FAR too many books I want to read now to be reading ones I don’t connect with. Lol – I’ll work on getting those discussions done! I’ve 33 drafts sitting in WP at the minute, so I’ll need to add some coherent thoughts to them and get them scheduled! You have some really good ideas in there. I brought a new bookcase last year and I have already filled it, yet there are books in there that I feel I will never read now. But keep telling myself I will one day. So maybe it is time to clean them out and stop filling in an empty gap when there is one on the shelf. I do cross post a little to Amazon when I remember, when the book effected me in someway or because I have to for ARC reviews. Otherwise I’m too busy reading to do it ore often. Going Crazy? Here Are 23 Things That Just Might Save Your Life!